The japanese word „mujinzo“ means overabundance in a mystical way. It stands for the overwhelming colourful glut of varieties of existence itself that arises from the pure void that is regarded sacred. This emptiness stands for the the infinite creative essence from which all phenomena arise – the white piece of paper on which anything can be written or drawn. 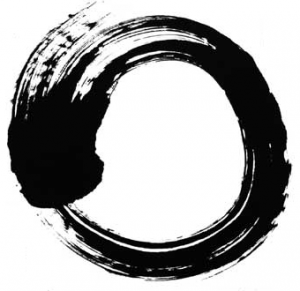 In Zen philosophy this truth is always expressed by a circle that is covering the white empty space. Our company is following this paradigm. It is empty in a way, that it is not committed to any particular project or art form nor to any person or artist.